More Mid-Year Madness: Play Australian Lotto at 10% Off! Our Mid-Year Madness Sale comes to an end today with a special offer for an all-time favourite among OSA subscribers: The Australian Lotto. Known as the Saturday Lotto, Tattslotto or Gold Lotto (depending on where in Australia it is played), it is one of the simplest and least costly subscriptions in our lineup – but with highly promising returns. With only 45 numbers to choose from, and no extra Mega balls or Powerballs or Lucky Stars added in the mix, the chances of hitting the first division prize are much higher. Try it out! Subscribe online now at www.osalottos.com/aus and use the code MMA2014 when you check out to receive 10% off your order. We’ve made it through the first half of the year, and in hopes of an even better, more prosperous second half, we’ll be offering discounts on our three best-selling subscriptions during the remainder of July. Today’s offer: 10% discount on USA Mega Millions! In terms of winning potential and value for money, it’s a clear winner when it comes to savvy subscription choices. Play Mega Millions at 10% off today! Order now at www.osalottos.com/mm and use the code MMM2014 when you check out. EDMONTON - An Edmonton couple has finally come forward and claimed their Christmas present after more than six months: a $50-million cheque. 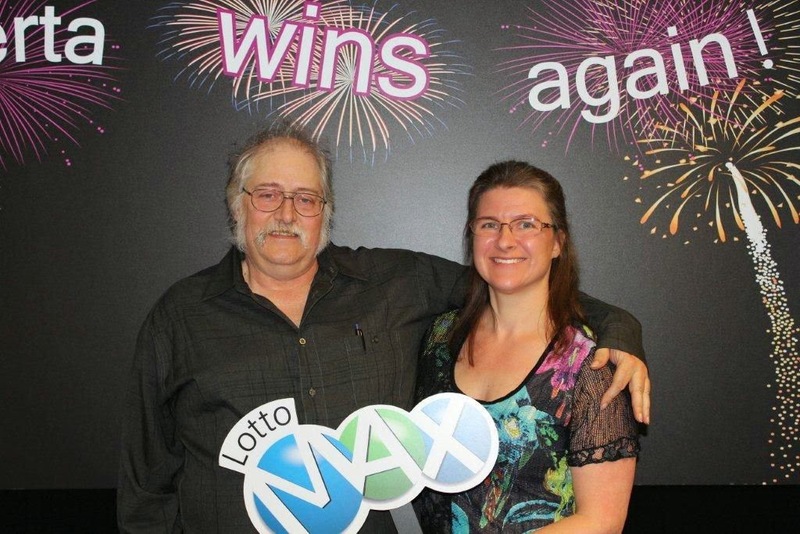 Andrea and Bill Groner found out they had won the Dec. 20, 2013, Lotto Max just two days later, but decided to process the news and keep it to themselves until this week. Andrea Groner, 47, checked her ticket at Londonderry Mall on Dec. 22, but had to ask the clerk to read the numbers to her because she didn’t have her glasses. The Shefield Express employee was much more excited than she was. “I was in disbelief,” she said. Her plans for the rest of the day were thwarted as she went home to tell her husband the news. Bill Groner, 54, recently retired from his job as a heavy equipment operator, and his wife plans to retire from EECOL Electric this December. “We’ve been working all our lives,” Andrea said, holding hands with her husband at a news conference Tuesday afternoon. The couple chose to go about their normal lives until they decided what they were going to do. 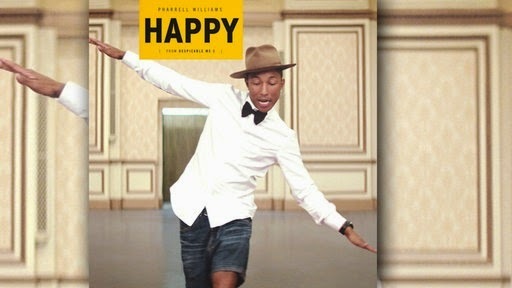 Seize the Day -- and Your Share of 84 Million Euros! An infographic we shared the other day showed that out of 78 years the average person has in a lifetime, only NINE are really yours to enjoy. The rest are used up sleeping, commuting, working, studying, doing chores, and all the other things that eat up the time in a day. So make the years count. Give yourself every chance you possibly can to live the life you’ve always dreamed of. If you’re interested, there’s another big El Gordo draw coming up on August 2nd, which offers 1-in-3 odds of winning a prize that could change life as you know it. 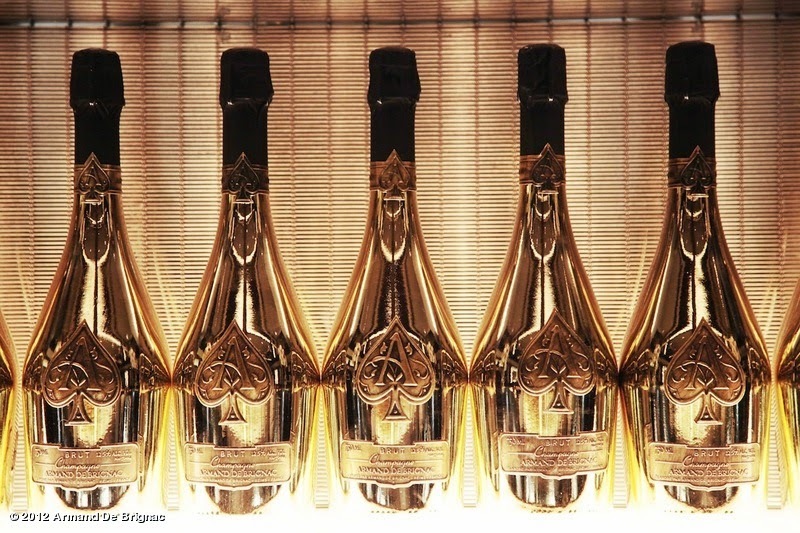 More than 37,000 people will win a prize that day, sharing a total of 84 MILLION EUROS. You could be one of them. Enter now at http://osalottos.com/elgm. 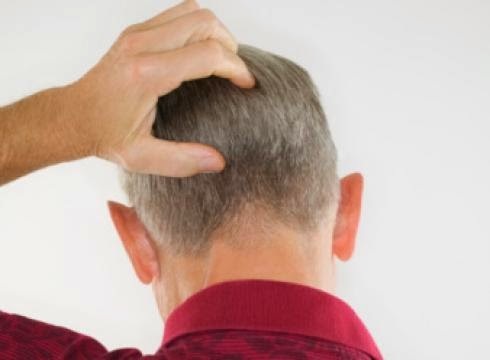 In a case of jackpot amnesia, a punter forgot he had won more than $700,000 in Tattslotto. The Melbourne man said he knew he had won but simply put his ticket away and forgot about it. "When I checked my ticket in February and realised I'd won Tattslotto, I thought I'd be excited, but it turns out I was just overwhelmed by it all," the division one winner said. 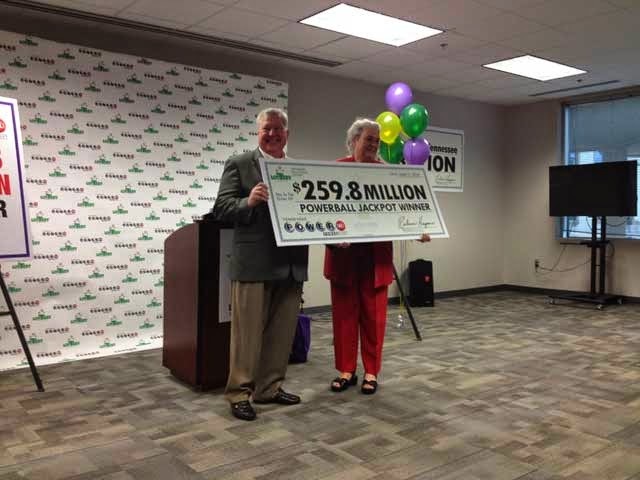 Knoxville Man Claims $259.8 Million Powerball Jackpot! NASHVILLE (WATE) - A Knoxville man claimed the largest lottery jackpot ever awarded in Tennessee history Thursday afternoon. Lottery officials say Roy Cockrum, 58, came to their office Thursday afternoon to present the ticket and claim the prize. Lottery officials then verified the ticket. Celebrate freedom with us this week as we mark U.S. 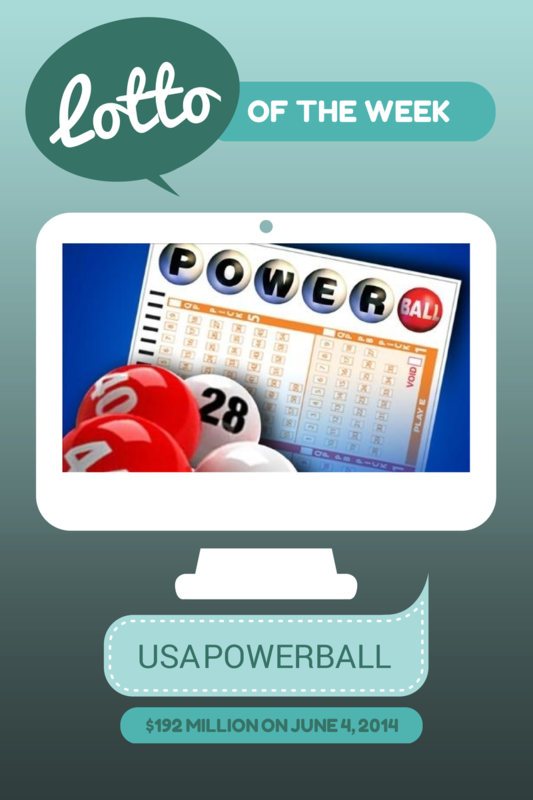 Independence Day with a 15% discount on American Powerball subscriptions! To play Powerball now at 15% off, go to www.osalottos.com/pb. The Independence Day discount expires at 11:59 GMT on the 4th of July, so act now! 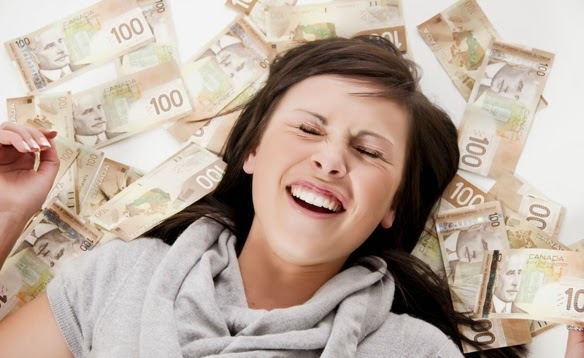 Winning a multimillion-dollar lottery prize ONCE is all most of us can dream of. Winning FOUR times is almost beyond belief... but it has happened. 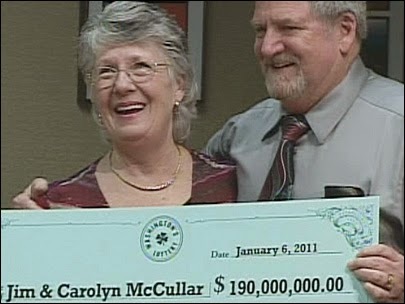 For years, people who dream of beating the lottery have puzzled over the amazing case of Joan Ginther, who made headlines around the world by scratching off “10MILL” on a $50 instant ticket in June 2010 to win her fourth multimillion-dollar prize. 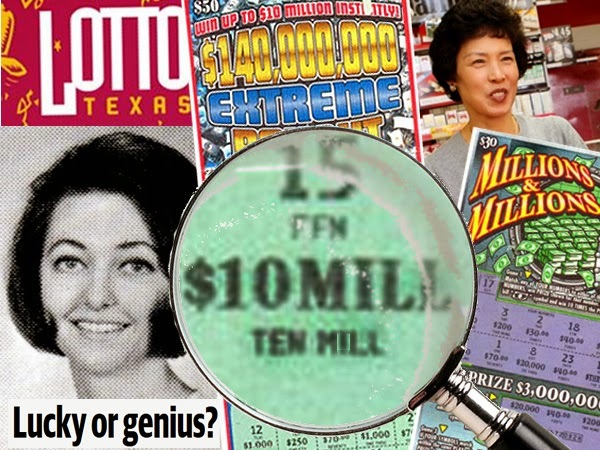 A series of discoveries based on painstaking analysis by Philly.com of newly obtained Texas Lottery records, with the help of experts, has led to a surprising conclusion: Basic gambling principles -- like card counting in blackjack, money management in poker, and timing in progressive slots -- may have inspired Joan Ginther to buy a flabbergasting number of $20 to $50 tickets, perhaps 80,000 worth $2.5 million or more. 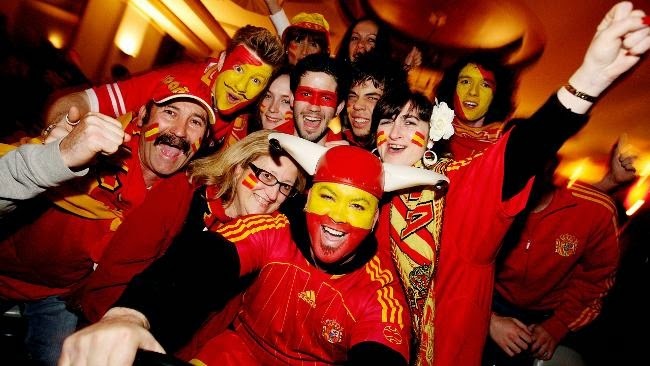 Spain may no longer be in the running for this year's World Cup, but it'll still be delivering big wins (worth up to EUR 140M!) next month for those entering the July 5, 2014 El Gordo Draw. Team up with other OSA subscribers to share 10 tickets, and win one or more of the 37,000 prizes on offer! Order your El Gordo Group Play shares today at http://osalottos.com/elgroup. 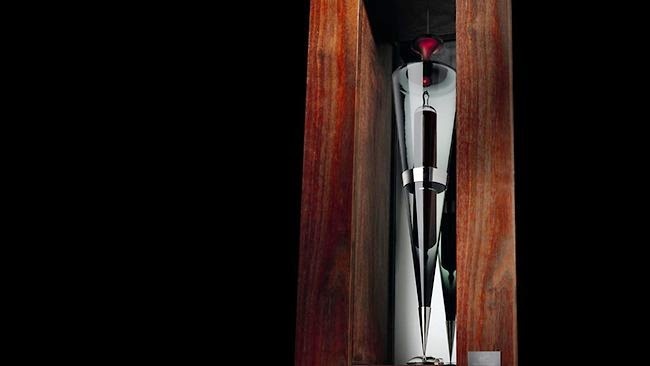 We find a lot of crazy, decadent things on the world's "Most Expensive" lists, but this one takes the ... er, cake. What's the most expensive thing you've ever eaten? 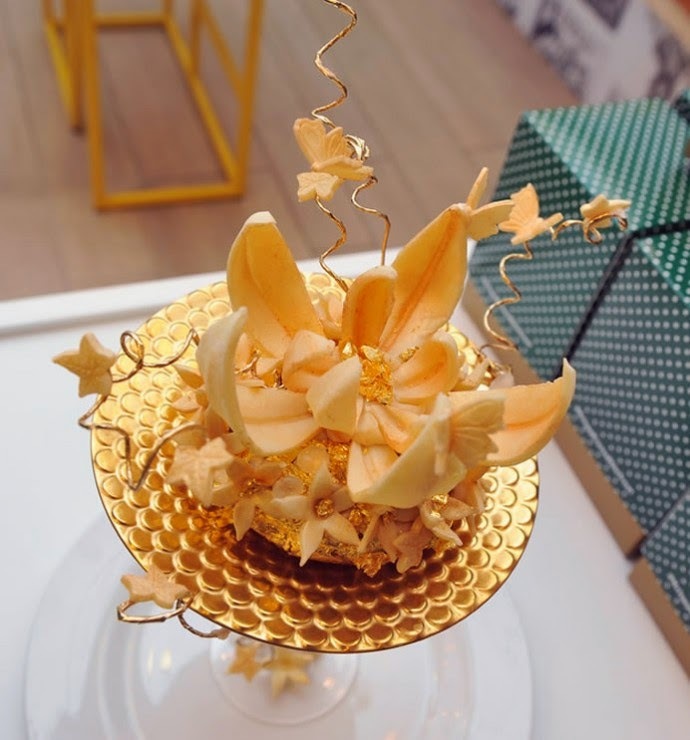 Any "must-try" dishes or delicacies on your lottery win wishlist? Let us know in the comments! With tonight's Euro Millions lottery jackpot at a high of €120 Million (approximately US$163 Million), it's worth listening to what "Millionaire-Maker" Dianne Thompson has to say about what to do when you win the lottery. "You’ve got to take time to get your head around it,' says Thompson, who has made at least 3,500 people millionaires during her time as chief executive of Camelot. Win an iPad for Dad – or keep it for yourself! For every subscription purchase you make from June 9 - June 14, 2014, you earn one entry into our Father’s Day Giveaway Raffle on June 15, 2014 – for a chance to win a 16GB iPad Air! 1. Just order a subscription for any of your favorite lotteries during the promotion period. 3. 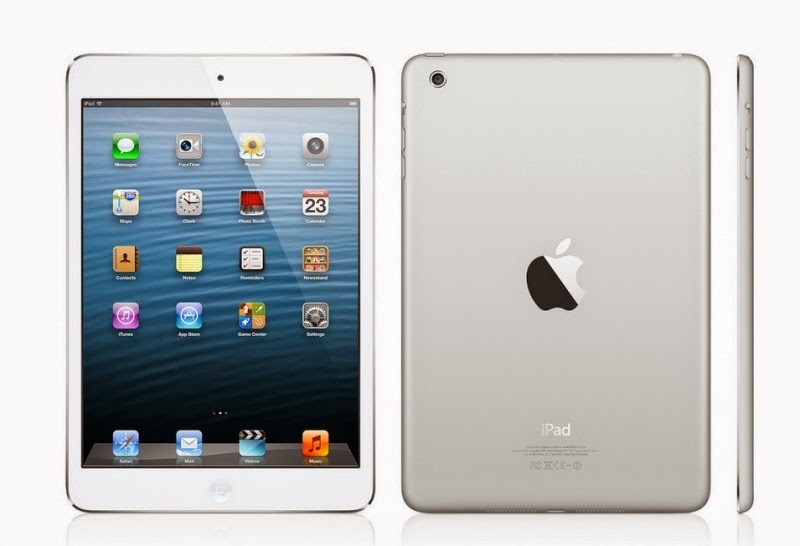 On Father’s Day, June 15th, 2014, we’ll hold a raffle drawing for the iPad Air. 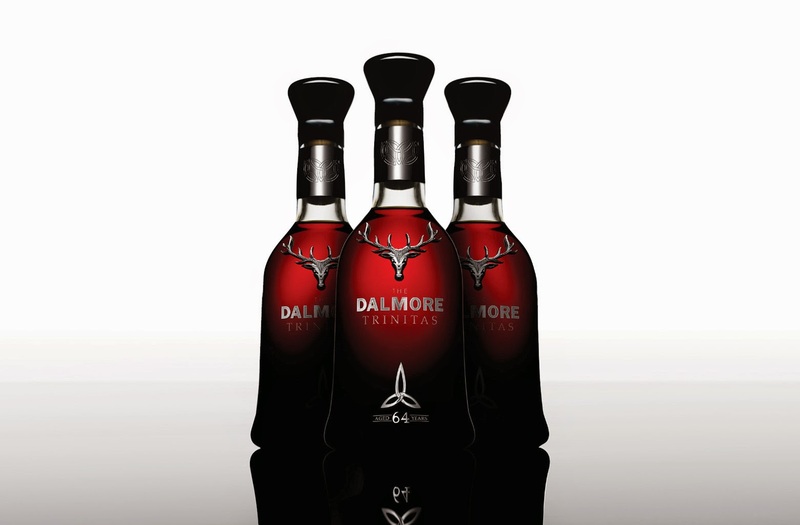 If you win, we’ll be in touch right away by phone and/or email to let you know, and confirm delivery details. 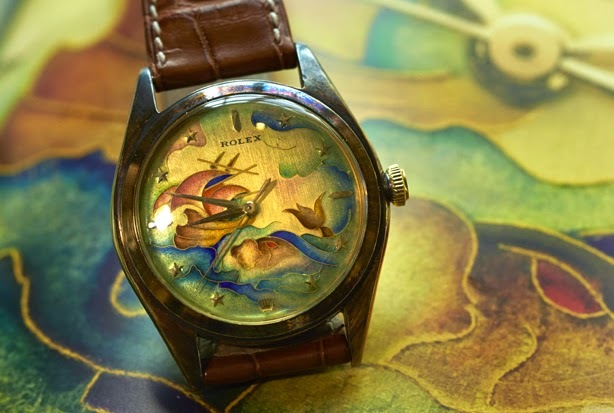 We'll also post the winner’s name here on the blog, and on the OSA Website. Best of luck! With Euro Millions and American Powerball making headlines with enormous jackpots this week, there is no better time to subscribe! Start your new lottery subscription now at www.osalottos.com! 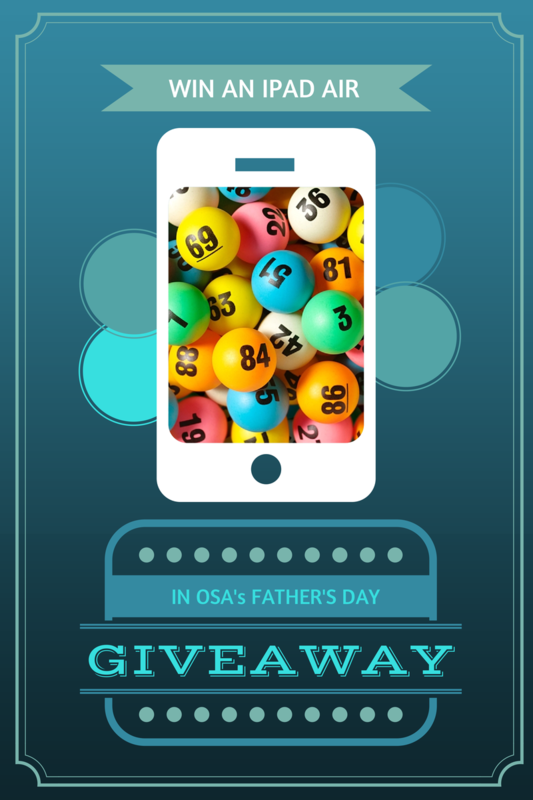 the Ipad Air in the OSA Father's Day Giveaway on June 15th! 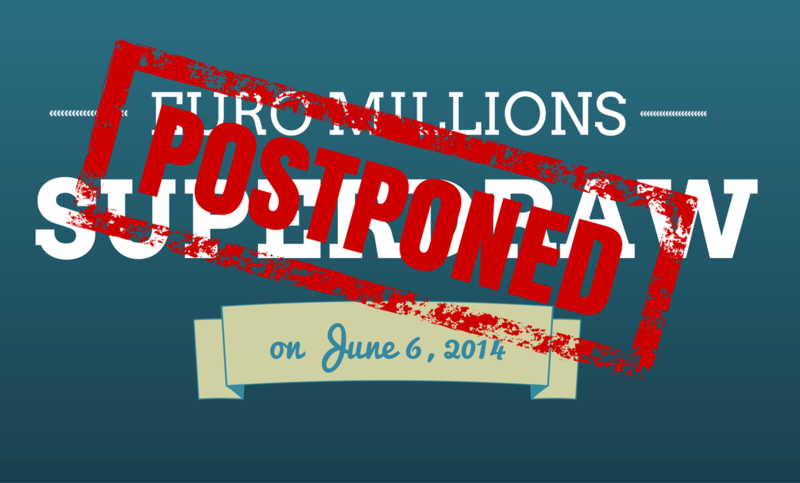 Euro Millions €100 Million Superdraw Postponed, But New Jackpot is Even Higher! Anyone participating in the June 6, 2014 Euro Millions draw - whether for individual or group play - will now be playing for a larger jackpot worth €105 Million! The planned EuroMillions Superdraw, which was scheduled to take place on Friday was postponed after the jackpot naturally passed the €100 million mark after another rollover on June 3rd. This is the first time that a Superdraw has been postponed because the naturally occurring prize fund has surpassed €100m mark. Although a very rare occurrence it is always a possibility because no one can predict when the EuroMillions jackpot will be won. Lottery authorities have been quick to reassure people that the money that would have been used for the Superdraw will remain in the EuroMillions Reserve Fund and set aside for future draws and promotions. 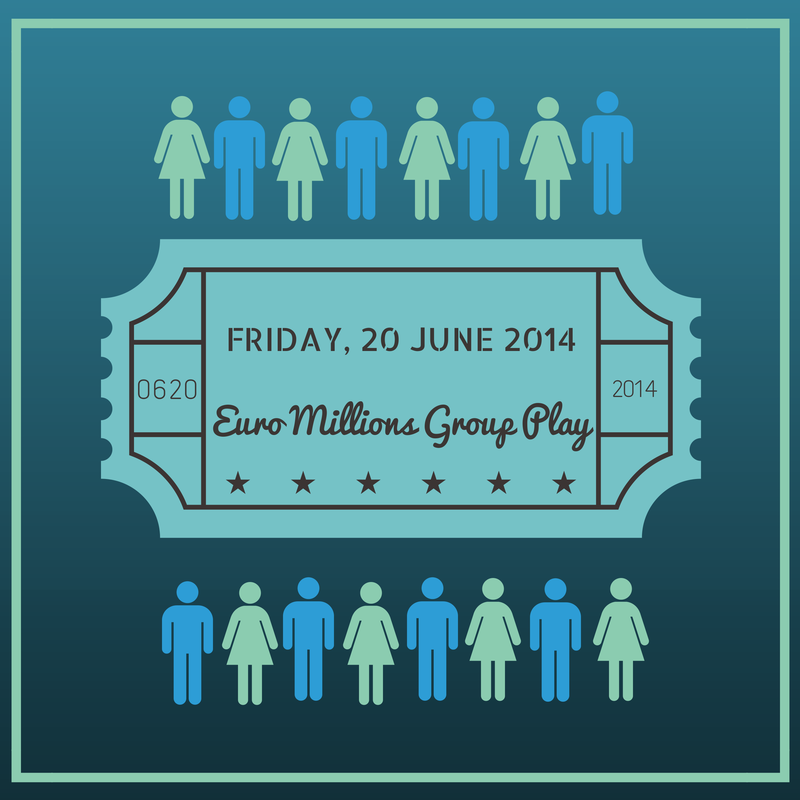 Just a few shares are left for the Euro Millions Group Play scheduled on Friday, June 6, 2014 -- so if you haven't taken a share yet, do so now! The jackpot for Friday's Superdraw will be a staggering 100 MILLION EUROS (approximately US$ 136 Million). When you join Euro Millions Group Play, you share 288 number selections formulated specifically to guarantee a minimum of 10 prize wins in the scheduled draw. Any one of these could be the massive 100M first division prize, so don't wait! JOIN NOW! Luxury automakers like Porsche , Lamborghini and Maserati have all toyed with and/or turned to the idea of making a premium big rig. But Bentley chief Wolfgang Schreiber says that if consumers want a “real” luxury SUV, they’ll have to wait until Bentley makes one. And it finally will! 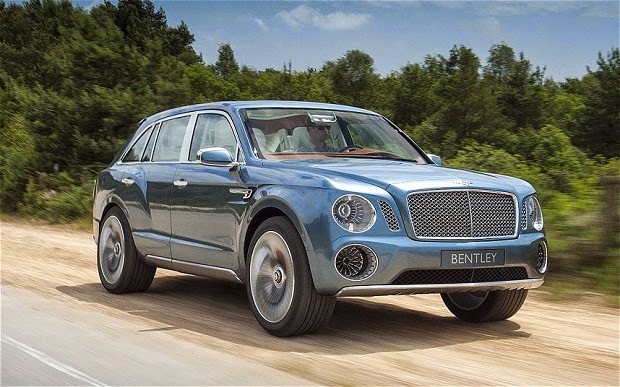 Get a sneak peek at 2016 Bentley SUV below. 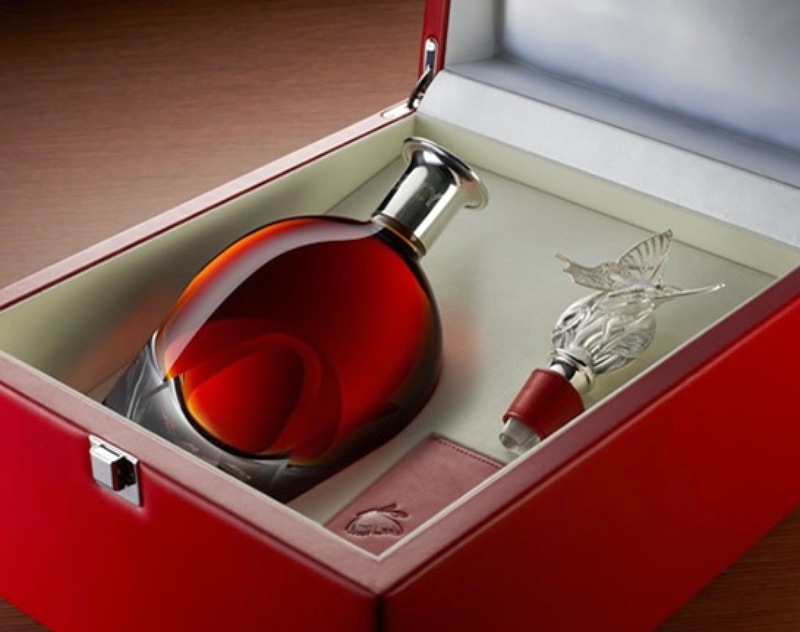 Will you be adding this to your lottery win wishlist? We certainly will. Imagine winning a $50 Million jackpot -- and then losing the ticket before you can claim it. 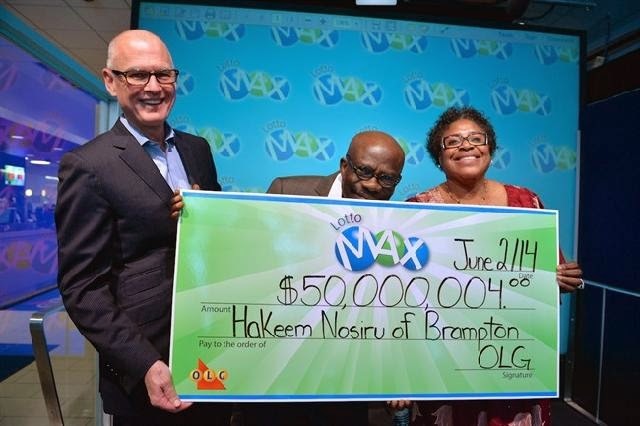 That's exactly what happened to Hakeem Nosiru, who won the January 17, 2014 Lotto Max draw. He was one day away from claiming the money when the ticket, which he duct-taped to the inside his wife’s purse for safekeeping, when he discovered it was missing after they attended church. But that despair turned to joy after a fellow member of the congregation discovered the ticket and reunited it with them on April 1 — saying “April fools” — a return made possible because Nosiru signed the ticket with their address. This first week of June is an incredibly good time to be dabbling in lottery play, as there are some pretty enormous draws coming up -- including a €100 Million Euro Millions Superdraw and an €84 Million El Gordo draw. First place, however, has to go to American Powerball, which is offering a $192 MILLION jackpot on Wednesday. We're pretty sure it really doesn't matter WHERE you buy your ticket -- the odds of winning will be the same. But hey... if you're ever in Santa Clara County, it might be worth a shot. Not traveling to California anytime soon? No problem. Play America's biggest lotteries from anywhere through OSA! The next USA Powerball Jackpot is an enormous $173 Million on Saturday, May 31st. Give it a shot. Play now! What a great way to pay good fortune forward! An anonymous California man (a lottery winner, perhaps?) is hiding up to $100 or so in public places in San Francisco, Oakland, San Jose and soon, in Los Angeles -- then posting clues to the money's whereabouts through his Twitter account @HiddenCash. Would you share your lottery winnings? How? Let us know in the comments! 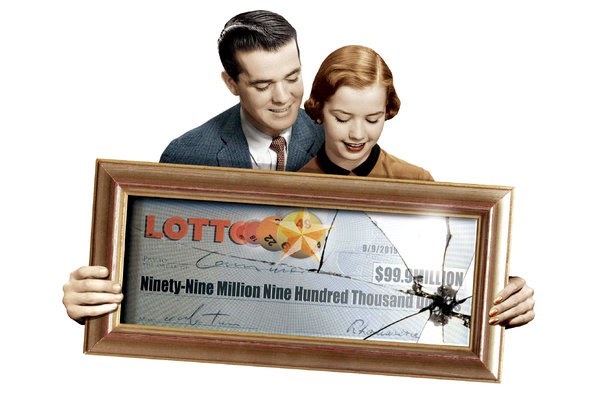 We all want to win the lottery, but it does come with some drawbacks. That does sound like a curse, but Dr. Norton hypothesizes that there’s an antidote. Moscow has the second highest billionaire population with 48, followed by New York with 43, followed by San Francisco, Los Angeles and Hong Kong. Where would you live if you could afford to live anywhere in the world? Let us know in the comments! And if you'd like a shot at becoming a billionaire yourself (or a millionaire at the very least) try your luck with OSA's Billionaire Series today! Go All-In & Play for Over $500 Million in Lottery Prizes this June! June is looking to be an extra-exciting month for Lottery players, as three ENORMOUS draws are coming up within just the first two weeks. Europe's most popular lottery - Euro Millions - will be holding a Superdraw on Friday, June 6, 2014. The jackpot is a guaranteed €100 Million (US$ 139 Million). Euro Millions jackpots worth over €100 million don't come along very often. And when the top prize is this high, all the lower division prizes are larger than usual as well! El Gordo, which means "the Fat One ," is the name given to Spain's richest National Lottery. El Gordo holds monthly draws with a total cash payout of over €5 Billion. 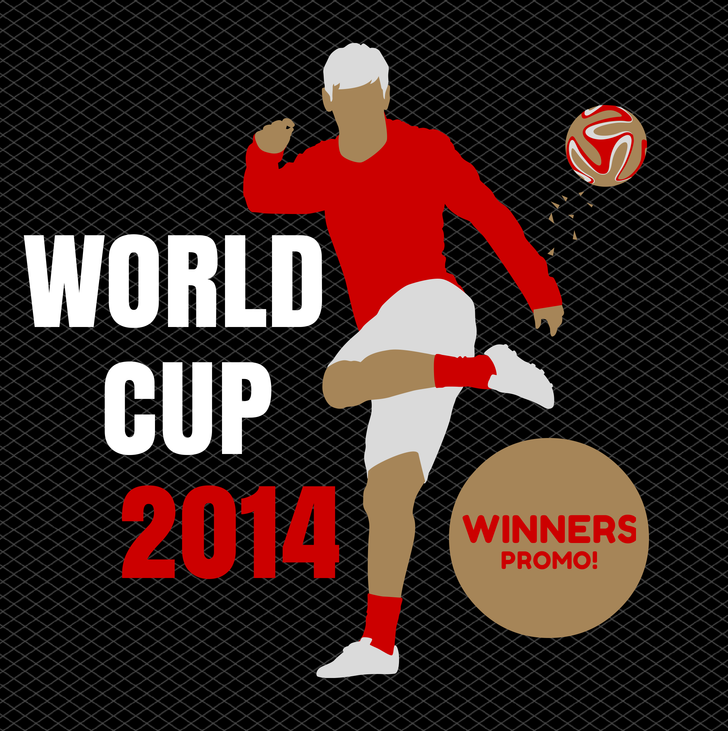 On Saturday, June 7th, the prize pool will be €84 Million (US$ 116 Million) -- to be paid out to over 37,000 winners. PLUS: At least ¥25 Billion in cash payouts for 3rd, 4th, 5th and other subsidiary Prizes! Go ALL-IN this June and play in all 3 draws! • One Share in a EuroMillions Group sharing 288 number sets in the Superdraw on June 6. Approximate retail value for all of these entries combined is $120, but you can have them all for just $100 if you bundle up. GO ALL IN NOW! A campaign to identify the UK's favourite celebrities and National Lottery-funded projects of the last 20 years is being launched. 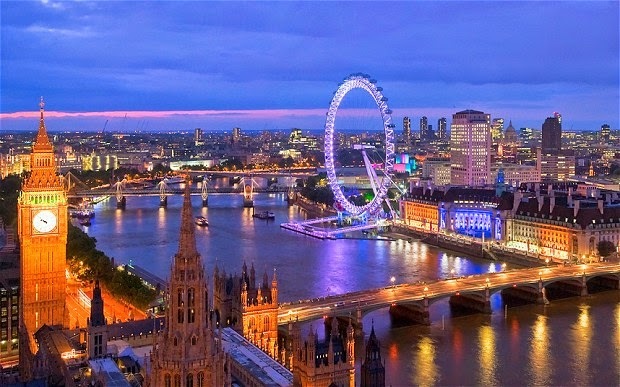 The 'What's Your National Treasure' initiative asks people to choose from a range of well known and loved venues, landmarks and facilities in the UK as well as name their top star from England, Wales, Scotland and Northern Ireland. A shortlist of 20 famous faces have been chosen due to their achievements as recipients of National Lottery funding or for their support of projects that have received funding. 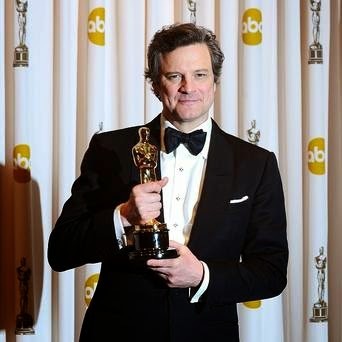 They include Colin Firth, Jessica Ennis and Stephen Fry, among others. What's YOUR National Treasure? Share in the comments! Married Southampton father Cameron Finney’s life was forever changed after he ate a chicken dinner with his wife at Popeye’s on March 25. On their way home, Finney bought $4 worth of quick pick tickets at a Gascon gas station in Coram. The next morning he discovered his big win — but spouse Donna wouldn’t believe him. A son’s dream to give his mom a very special Mother’s day gift became a reality after he won in the lottery which amounts to $2.5 Million. Daniel Stojak asks his mom Shirley to buy lottery tickets from him from time to time at the Jewel-Osco where his mom is a cashier for 15 years. 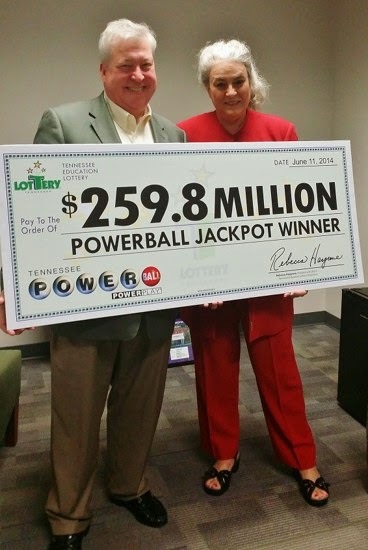 It was a great luck when his mom scratched off his ticket and saw that he won big time. For Mother’s day, he will treat his mom to riverboat to gamble, and then have dinner and buy a diamond tennis bracelet and maybe a ring. The recent winners of the Arizona Lottery were Robert and Anna Brito who comes from Phoenix. The couple won $3.3 Million in “The Prick” and remained silent for about two weeks before coming forward to get their winning prize. The money will be invested and placed on a trust fund for the whole family. A simple guy, Robert expressed that he will keep his job as a public servant and simply thanked God for all the great blessings. The couple shared that they will not spend the money right away and instead will stick to their original plans and schedule. Most people claim that they will be giving to charity if they win the lottery. Most often, those who did win really give, but only a pittance. Many winners got blinded by the glitter of gold and they could not see anymore the need to give back to their community. But not the Canadian lottery winner Tom Crist who stated early on that he will donate every cent of his winnings to charitable causes. All $40 million of it. Tom Crist is a retired CEO of EECOL Electric. At the time of his retirement, he was financially stable that he could provide for the needs of his family even without the lottery winnings. Tom is also a widower, having lost his wife to cancer in February 2012. Because life had been good to him, Tom is known to always give back to the community. His son Dallas described Tom as a very generous person, someone who would "give away the shirt off his back" just to help people in need. Tom Crist was having lunch between rounds of gold when he learned that he won $40 million in the lottery. He finished his lunch and resumed playing, without telling anybody about his stroke of luck. Tom wanted to donate the whole amount of charity but he acceded to the request of the Western Canada Lottery Corp. for a press release and photo. After receiving the prize money, Tom started donating money to charitable causes including the Tom Baker Cancer Centre through the Alberta Cancer Foundation. The cancer center treated his wife before she passed on. Tom Crist is now busy distributing his good fortune to the less fortunate and good causes. People are obviously excited and simply looking forward to the upcoming Euro Millions Superdraw that will be held on Friday, June 6. The European jackpot that is awaiting its most fortunate winner is a whopping amount of €100,000,000! Tickets for the Superdraw should be purchased in advance because for sure, there will be so many players who want to be part of the grand jackpot. Ordering your entries for for the Euro Millions Superdraw can also be done online via Overseas Subscribers Agents (OSA) as you do your regular Euro Millions entries. Winning the jackpot though is definitely not easy because you will have to match all the 5 numbers and also the two Lucky Stars numbers. The most recent Superdraw was drawn in Paris and a ticket holder from the UK named Neil Trotter emerged as the winner. The largest jackpot ever won in the EuroMillions Superdraw was €188 on June 2013. This prize was almost close to the Superdraw’s cap of €190 Million. 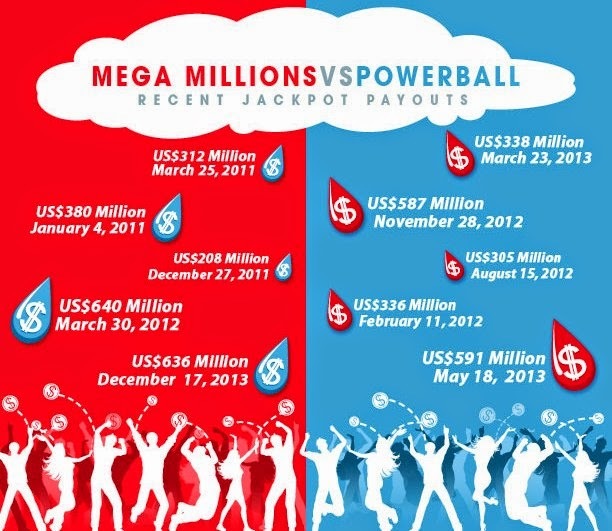 On August 2012 though, the sole EuroMillion jackpot to surpass the cap was divided between two ticket holders. The EuroMillions Superdraw jackpot automatically rolls over up to €190M until there is a winner to emerge. Click Here to Buy Your Euro Millions Superdraw entries now. Robyn Ann Collier only had about $5 when she filed for bankruptcy two years past so winning more than $200 Million comes as a big surprise and a total relief. Collier is from Merritt Island, Florida and purchased the winning Mega Millions Lottery Ticket in March at a gasoline station on South Courtenay Parkway in Merritt, Island. The total amount of winnings was $414 Million was shared with another winner who comes from Maryland. Collier expressed that she might still keep on working while her boyfriend Raymond Moyer plans to make some investments and will travel with Collier to Ireland. 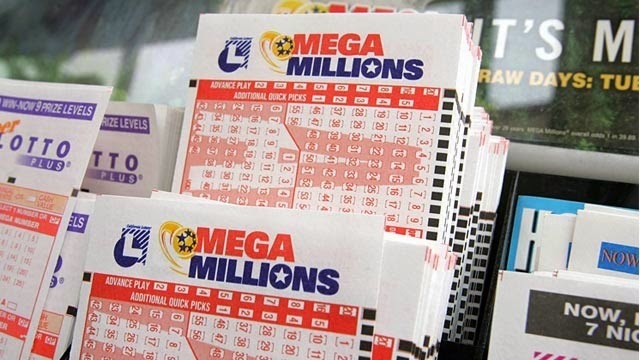 Two winners split the $414 Million from the Mega Million Jackpot. One winner who comes from Florida has gotten her share early on, while the other winner who is from Maryland only came forward recently to claim the prize. The state of Maryland is in for a treat as it will also be awarded tax revenue of $10.1 Million. Past winners from Maryland won $189 Million in October 2013 and another one won $218.6 Million in March 2012. The newest prize standing for the Mega Millions Jackpot is set at $105 Million, and for sure, everyone is waiting with excitement. The first ever huge marketing scheme of the National Lottery will be aired for 60 seconds this coming week and will have additional 5 ads on the television as well as a digital version. The campaign was created to market National Lottery’s play online channel whose target market are those people who does not make an effort to go out and play. The ad has included some humor to be more attractive to more people and will feature “the guru” who has the ability to predict while on mediation at Mac gillycuddy’s Reeks mountain range. This is one exciting strategy. 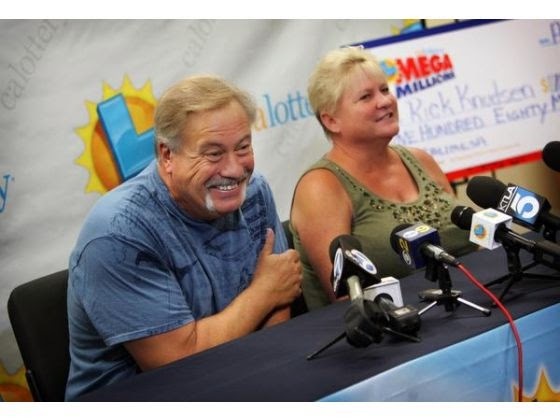 The March 18, 2014 Mega Millions Draw produced two new millionaires. The Tuesday draw with a jackpot prize of $400 millions has the following winning numbers: 11, 19, 24, 33, and 51. The Mega Ball is 7. The first winning ticket was sold at a Sunoco convenience store in Florida. The other winning ticket was purchased hundreds of miles away in Charles County, Maryland. The $400 million jackpot will be worth $224 million when taken as a lump sum, giving each winner $112 million. After taxes, each winner can take home approximately $74 million. California employs the pari-mutuel system wherein the amount of prize is dictated by the total number of tickets sold, along with the total number of winners per category. Since Mahendra KC was the sole winner of the 5 number category, he was able to take all what is in the prize pool which totals to $1.9 Million. Mahendra KC is a humble cab driver before he won the lottery and is an immigrant from Nepal. The 50 year old winner will use his prize money to treat his chronic heart problems and also to get organ transplants for his parents. The 6th highest lottery jackpot prize that was won in Missouri was $96.5 Million and the lucky winner of this cash prize was advised to have his signature at the back of the ticket and keep it safe before he comes to Jefferson City in the Lottery’s headquarters. Lottery winners in Missouri are given 180 days to come forward and get their cash prize. 5 Powerball tickets having the same 5 numbers were also sold in other states like Maryland, Kansas, Missouri, Texas and Massachusetts. The next jackpot prize that is waiting to be won is set to $40 Million. One woman who has never purchased a lottery ticket before wins $1 Million. Her name is Cindy Reeves and she comes from Wilmington, North Carolina. Cindy works as a stockroom clerk and is a hardworking person. She expressed that her prize money that amounts to $415,206 after taxes will be used to pay off her loans and will also take a trip to the Disney World, as well as to the North Carolina Mountains. She will be taking her sister to the North Carolina Mountains. This very latest scratch off lottery winner decided to get the money in lump sum. Many people take for granted those fortune cookies that are given out by Chinese restaurants at the end of a meal. The crispy and sweet cookie contains a 'fortune' which is a piece of paper with prophetic or good luck phrases. The 'fortune' also contains a set of lucky numbers which people may use when playing their favorite lottery. Most of the time, restaurant patrons just leave their fortune cookies behind. But not Emma Duvoll of New York. After eating in a Chinese restaurant, she carefully cracked opened her fortune cookie and read her fortune. She went a step further. She played the Powerball using the lucky numbers from her fortune cookie. Emma Duvoll won a $2 million prize in the Powerball draw. Don't just toss those fortune cookies as you might be tossing away a fortune. We lost a lot - time, money, business opportunities, and more - while stuck in the gridlock. People had learned to make the most while waiting out for traffic to ease out. Some stop for a cold drink at a bar or a hot java in a coffee shop. Thomas Mainella stopped for something else. He bought six instant lottery tickets. He scratched four tickets and thought that he lost again his dream of telling his girlfriend that he won the lottery. As he started scratching the fifth of the six tickets, the word "life" showed in the scratched area and right away, he knew that something big was forthcoming. As he continued scratching the ticket, he learned that he won a $5 million jackpot. Mainella knew he could not tell his girlfriend the magic words. He chose the 20 year installment of $172,000. He also decided to marry his girlfriend and retire comfortably. Sometimes, it pays to listen to one's girlfriend, Woodrow Green of Chesterfield, Virginia learned. His girlfriend of thirty years kept on asking him to play the lottery but he just ignored him. As he continued to pester him about buying a lottery ticket, Green obliged buying a Mega Millions ticket. Again, to the prodding of his girlfriend, he watched the draw on TV and saw that he did not get the jackpot. He simply put aside the non-winning ticket. But Green's girlfriend did not give up easily. She asked Green to check his ticket for he might won one of the minor prizes. Again, Green obliged and went to the Kroger store where he bought his ticket. The store clerk checked and said that he won. Thinking that he won a thousand dollars, Green asked the clerk to cash his ticket. The store clerk told him to go to the lottery office because Kroger could not cash his ticket. At the lottery office, Green found out that he won the second prize of $1 million. He thought of paying of his house and going on vacation. Of course, he wants his girlfriend to choose where they will be going. He knew that she knows better. People believe that a particular number is their lucky number. And they stick to that lucky number throughout their lives. One such person is Monique Abbate who is a school administrator in the western suburbs of Chicago. She considers the number 10 as her lucky number and she had that number since the years she played basketball and softball. The number 10 adorned her uniforms in those sports. When Abbate went to the Convenience Food and Liquor to buy an instant ticket, she picked her ticket from a bin marked "10". She had the feeling that her lucky number will give her more luck. And she was not wrong. When she scratched her "$2,000,000 Extravaganza" ticket, she found out that she won the top prize. Abbate planned to use her $2M prize money to pay off her student loan and take the family and friends to a gambling vacation to Las Vegas. People are temporarily blinded by a huge windfall of money to the point that lovers break-up as they fight over their share. But at the end, love prevails and money take a back seat in favor of a harmonious family relationship. This was the story of Pedro Quezada, a 46 year old immigrant from the Dominican Republic. He owned and operated a small grocery warehouse in Passaic, New Jersey which he ran with his live-in partner Inez Sanchez with whom he has a daughter. In March 2013, Quezada won what was then the fourth largest jackpot in U.S. lottery. Quezada opted for the lump sum payment of $211 million and pocketed $152 million after taxes. Quezada moved to a newly purchased house in Clifton, New Jersey months after winning the jackpot but without Sanchez because the couple had broken up. Things turned ugly soon after. Sanchez sued Quezada for her share of the winning money based on their "joint venture" relationship which included owning and running the Passaic grocery and purchasing lottery tickets. Legal wrangling between the parties occurred as they argued in court their sides of the case. But it seems love and sanity took over because of Valentine's Day, the couple announced their reconciliation and their decision to move in together and live again as a couple. Jerry Kajfas wins $10 Million through a $20 Win for Life Spectacular Ticket that he almost rejected at the Depew One Stop where always buys cigars and lottery tickets. He had 7 small wins that day which encouraged him to get the $20 ticket that he returned, and gave him a big win. It was fortunate that he went back to get that ticket. Kafjas will get 86% of the prize and will give each of his two kids 7% share. He will receive $300,000 annually for 19 years, an amount that he and his wife can comfortably retire on. Shamus Harmon is a 34 year old safety trainer who bought a $2 Win for Life ticket at Fred Meyer, Market Street, Nebraska and gets a handsome win of $1,000 a week for life cash prize. Shamus Harmon intends to go back to Australia for vacation, as well as to pay off his home mortgage in the span of 5 years. With this amount of money that he will get for life, Harmon can already retire but according to him, he would not. He celebrated his win by treating himself to dinner at a restaurant also in the same area. Penthouse 10, a group of Bethlehem city park workers who work on the top floor of the lottery office chip in money to buy ticket when the jackpot prize is high wins $1 Million in the Powerball Lottery. Each member of the group gets $75,000 and will use the money for different purposes. One member is fortunate to get his share of the prize as he needs money to pay for medical bills because of a bad accident that he encountered recently. Others will use the money to go on a vacation, while others will use it for their homes. Scott Lowe bought his lottery ticket on Columbia Road in Hanover without expecting to win, so when he won $50,000, he got so excited that he went to the Lottery Headquarters right away to claim his prize. His over excitement made him drive his car so fast that it caught the attention of a police officer. He explained why he was in such a rush, and was only given a verbal warning for over speeding. Lottery’s Executive Director certified Scott Lowe’s win and said that he was so fortunate that day for winning the lottery and for escaping an offense. 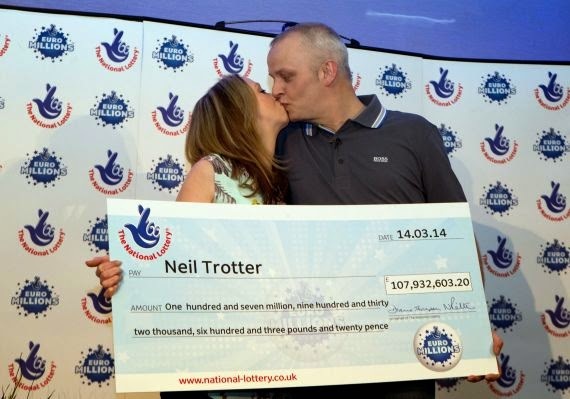 Winning the £ 161 Million is bigger than Colin and Christine Weir’s biggest dreams. They got their win from the Euro Millions Jackpot and one of the purchases that they made with their money is a purchase of a £ 3.5 Million mansion. In fact, they only decided on it for ten minutes. 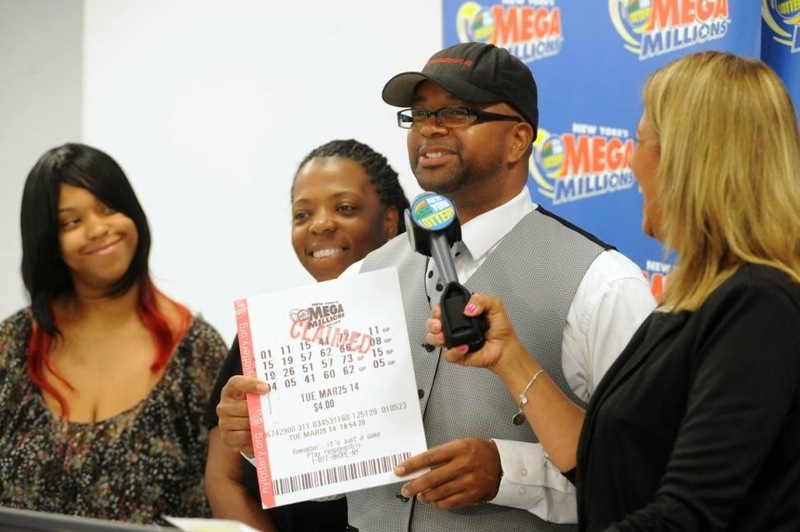 Gary Baldwin Jr. is a gas truck driver who experienced a series of good luck by getting a winning streak in the lottery. He first won $100 on Monday, $50 on Friday, $125 on Sunday and finally the $200,000 the following Monday making him have a total winning of $138, 401 minus the taxes. Baldwin believes that what comes around goes around. He said that it perhaps happened because of a good deed that he did to another person before. He plans to make use of his money very well by paying off his debts and acquiring a new Silverado. A homeless man who did not have a job and is full of debt wins the £ 1.7 Million or 63 Million Forints lottery jackpot after purchasing a lottery ticket with his remaining coins. Today, Laszlo Andraschek is one of Hungary’s biggest lottery winners making him debt free, and at the same time allowing him to share his blessings to the less fortunate by donating a large amount to the homeless shelter. He is thinking of setting up foundations for the abused women and the addicts. Laszlo Andraschek also bought a car and a house for each of his children. 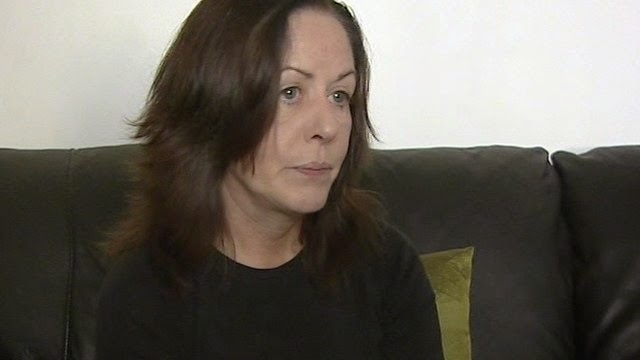 Jean Swatman, lottery winner of £ 2,021,379 did not retire right away even after making that big win because of her passion in baking doughnuts, and still went to work on time at 6 am. It was only in winter that she decided to retire as she got fed up in shoving the snow off her car at 5: 30 am. She now spends her time redecorating her house and has also visited her son who now resides in Asia. She is happily living her life without any financial worries. In fact would also like to secure her family’s future. A 55 year old homeless from Gyor, North-West Hungary won $2.8 Million allowing him to pay off his debts from his relatives, as well as gave him the opportunity to help other needy people by donating to a hostel for the homeless and is also planning to build a foundation to help the addicts and women who are abused by their husbands. Randy Burnside, of Lottery announced that a ticket from Wheeling also won $1 Million, alongside another win from Beckley making it the third winner in the span of 1 week. The other winner also from West Virginia has come forward to claim his cash prize, this lucky winner is a former truck driver named Randy Brown of Man. Brown of Man’s winning ticket was drawn on February 7. While Brown of Man has claimed his cash, the winner from Wheeling and Beckley respectively has yet to claim theirs. The ticket in Wheeling was sold at the Firehouse Marathon Gas Station. Powerball is gaining popularity because it is already played in 43 States, including the District of Columbia and the US Virgin Islands. Another State will be added to this growing number of Powerball Enthusiasts that is Wyoming should their new state lottery which includes the addition of Powerball and a few Multi-State Lottery Games are approved. Great news about today’s Powerball jackpot is that it is on to over $400 Million making it the 6th biggest jackpot in the US, and the 8th highest cash prize. This enormous amount is a consequence of not having any winner for 15 draws. A woman named Jennifer Carmin filed a complaint to the Lower Level State Gaming Office when she failed to get her supposed $28 million dollar winning money from the Blue Chip Casino. The said casino cannot grant the win because it happened due to a software malfunction. An independent equipment testing company was sent to find out what happened. 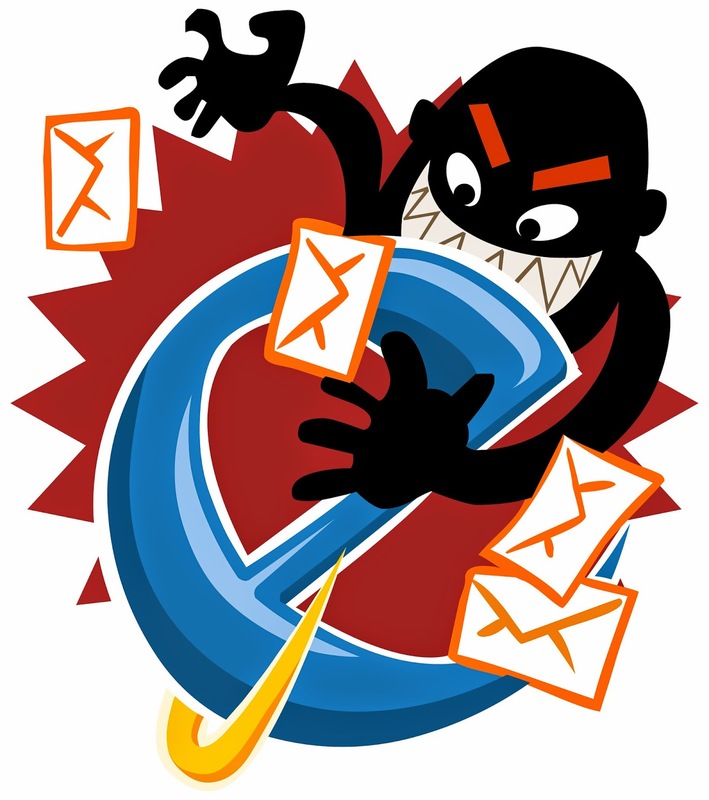 It was found that there was a computer error which is why the figure appeared on the screen. According to Atty. Cory Aronovitz, there are disclaimers posted on slot machines saying that casinos can cancel payments if there is an error. On December 18, the Million Jackpot with a prize of $46 Million was drawn. The winner of this jackpot prize hails from Orlando, Florida whose name is James Caldwell. It is noted that the winning numbers for December 18 were 2, 5, 9, 24, 34, 40 and an extra number which is 5. Caldwell purchased the ticket in South Ferncreek Avenue in Orlando in a store called Circle K.
This win also gave a bonus commission to the store where the winning ticket was purchased. The bonus given was $160,000. There is nothing much to be said about James Caldwell. 1,800 lottery tickets were found missing which led to an investigation by the Kentucky State Police. 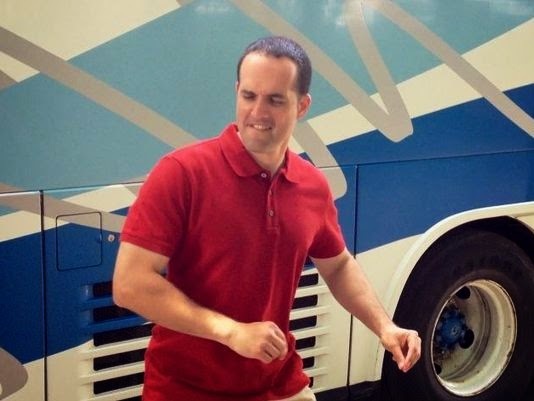 The investigation was led by Detective Kevin Calhoon and found that Kentucky Lottery Corporation’s Regional Manager, Jeffrey L. Riley was guilty of fraud using lottery tickets. The investigation began after Kentucky Lottery Corporation handed the case to the Kentucky State Police after they have established the anomaly being done by Riley. He was charged with three counts of fraud which is considered a Class C criminal offense and was kept in custody at Scott County Detention Center where he was later released on bail. 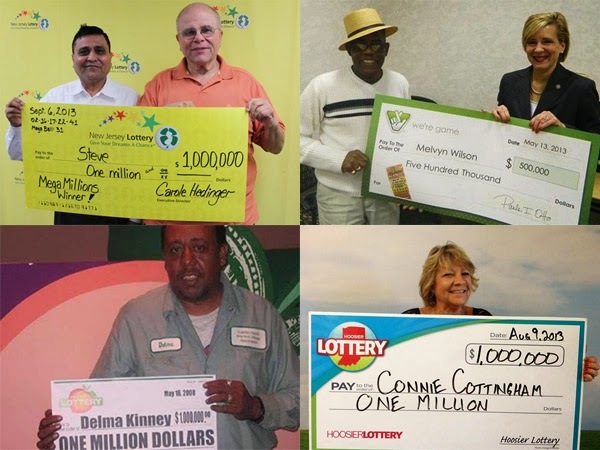 Six lottery players become instant millionaires, and all hail from South Florida. The winners are from three different lottery games which are the Lotto, the Scratch Off and the Mega Money having $12M being the highest take. The variations in the games played is said to be the reason for the result of the wins as the games played were evenly split among Lotto, Powerball and Scratch Off. 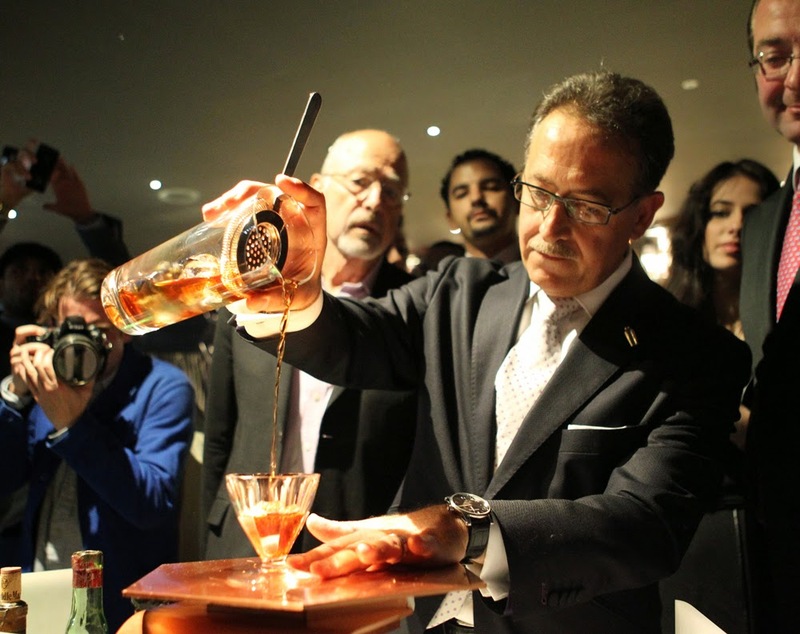 Because of the wins, there has been an increase in South Florida’s revenues for both business and education. The state gets 50% from Powerball ticket sales and 30% from Scratch Off sales. A milkman for 30 years, John Hay is fortunate to have been shared some of his ex-wife’s winning making him a millionaire. John is eyeing to retire but was surprised to know that his retirement will be coming soon as his ex-wife Doreen Hay won the £7.5M lottery. Aside from John, Doreen also gives part of her winnings to a local hospice and other notable causes such as the Breakthrough Breast Cancer, Help for Heroes, Save the Children and the Water Aid. Her 3 grandchildren of course also benefits from her winnings making her total give away amounting to £1.5M.